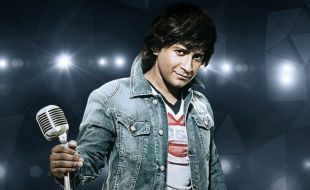 Krishna Kumar Kunnath, better known as KK, has been mesmerising audiences around the world with his powerful and soulful voice for over two decades and fans of this top Indian playback singer, will have the chance to watch him for the first in South Africa live in concert on December 8, 2018, at the official opening of the Suncoast’s new venue, The Globe. Whether it’s Tadap Tadap, Zara Sa, Awarapan Banjarapan and Tu Hi Meri Shab, there will be firm favourites for everyone. KK – Live in Concert is brought to you by Blu Blood and Showtime Promotions, both synonymous for bringing world-class entertainment to South Africa. “We are excited to be bringing out one of Bollywood’s all-time favourite playback singers. This is KK’s first performance in South Africa and it’s worth mentioning that this will be the first show in Suncoast’s new events venue, The Globe,” says MD of Blu Blood, Osman Osman. KK – Live in Concert takes place on December 8, 2018, at 20h00 at Suncoast’s The Globe. Tickets from R280 are available through Computicket online and selected outlets.